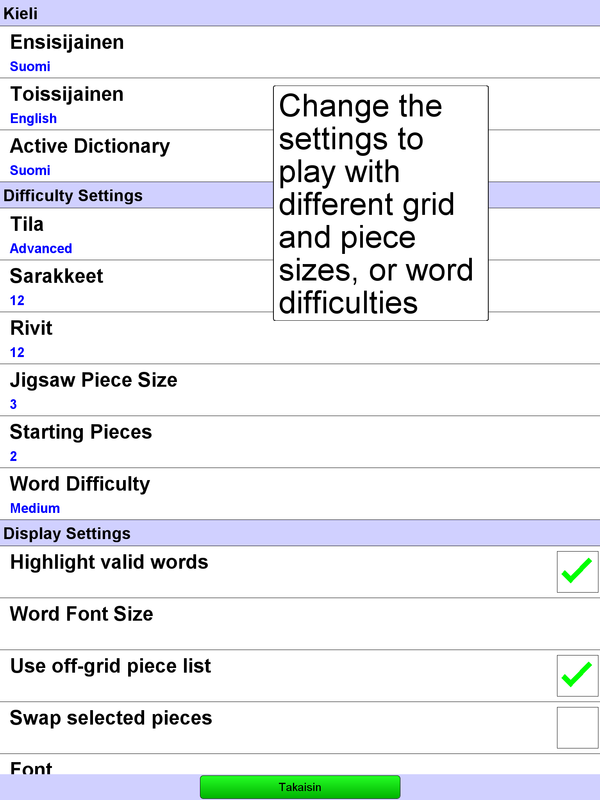 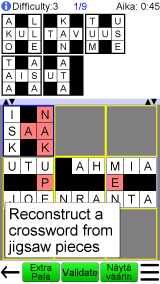 Play pieceword online. 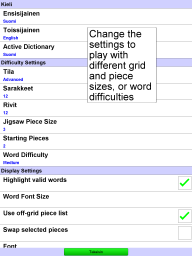 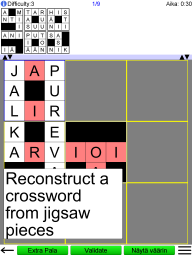 Recreate a crossword with jigsaw pieces. 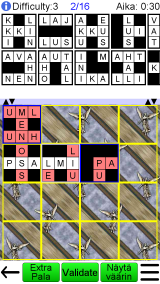 The letters on the pieces help you complete the puzzle. 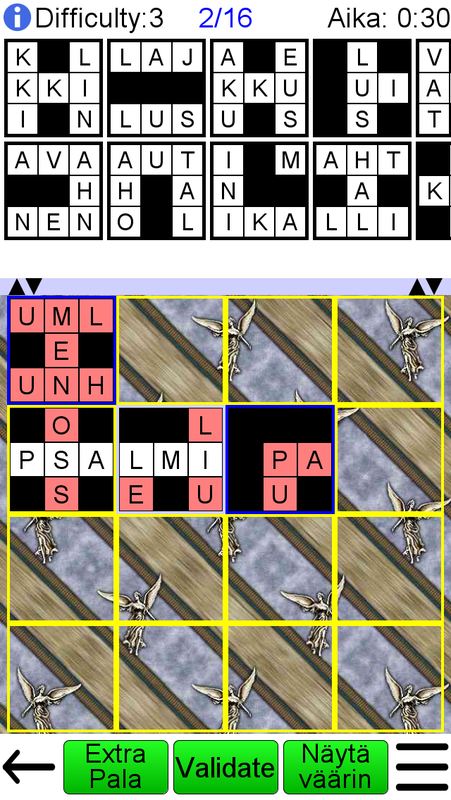 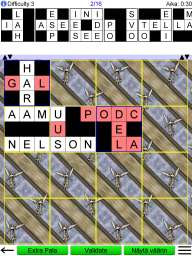 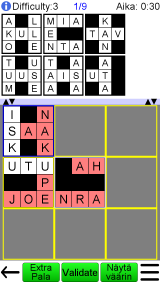 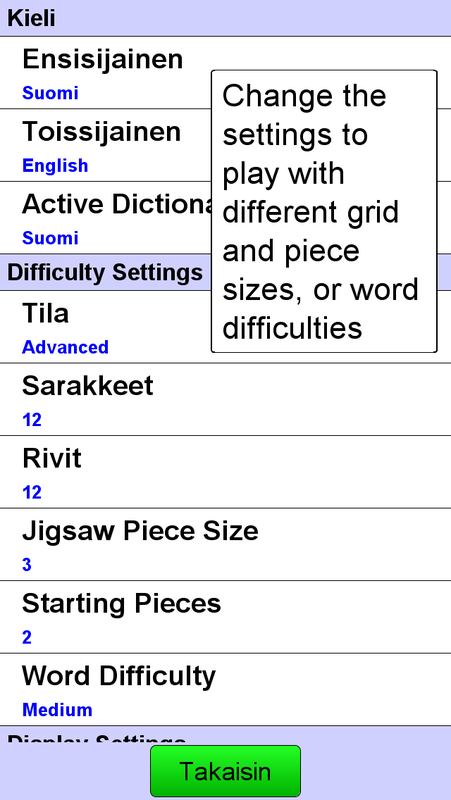 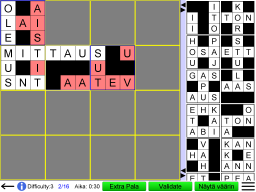 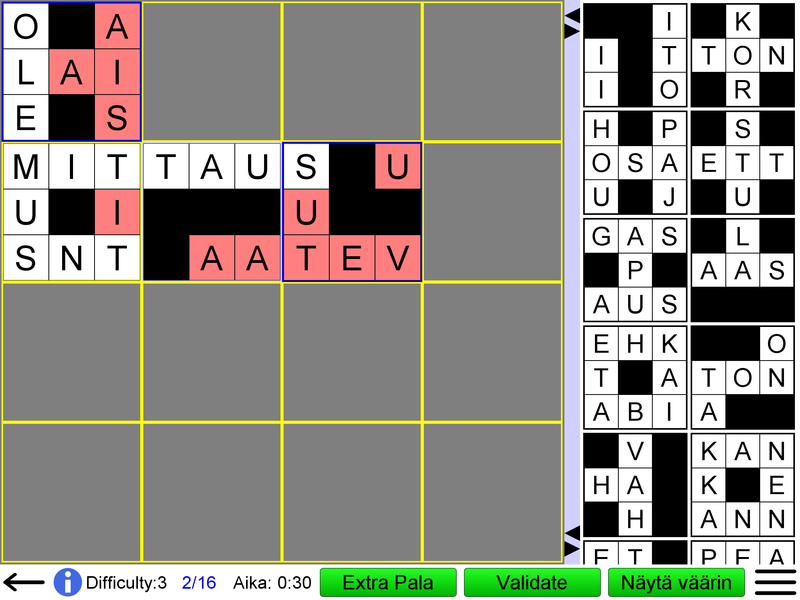 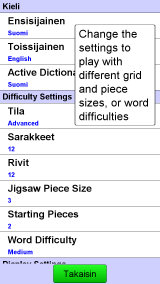 Easy to use interface, drag and drop puzzle pieces across the screen. 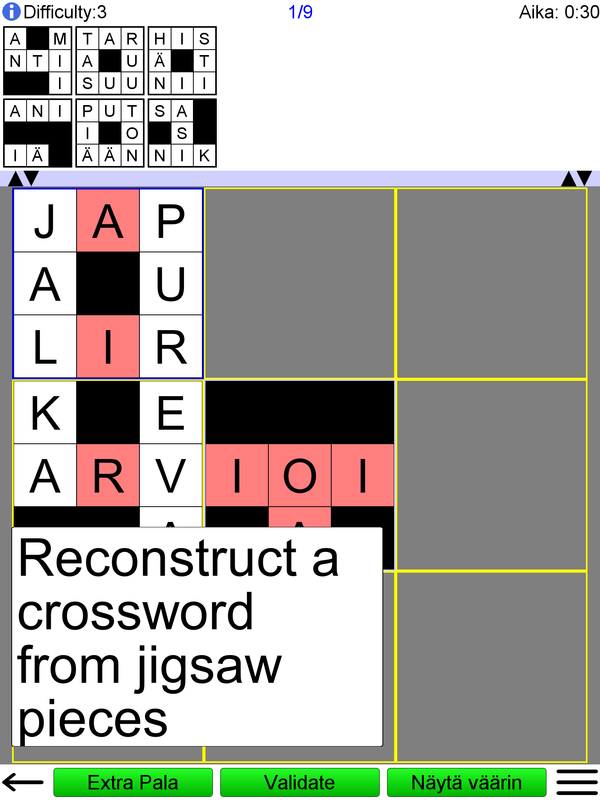 Recreate a crossword with jigsaw pieces. 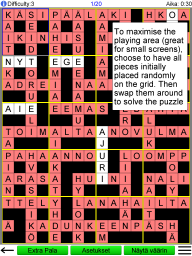 The letters on the pieces help you complete the puzzle. 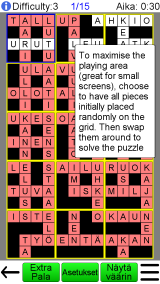 Easy to use interface, drag and drop puzzle pieces across the screen. 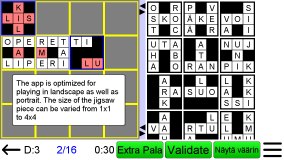 • Four different sizes of puzzle piece are possible. 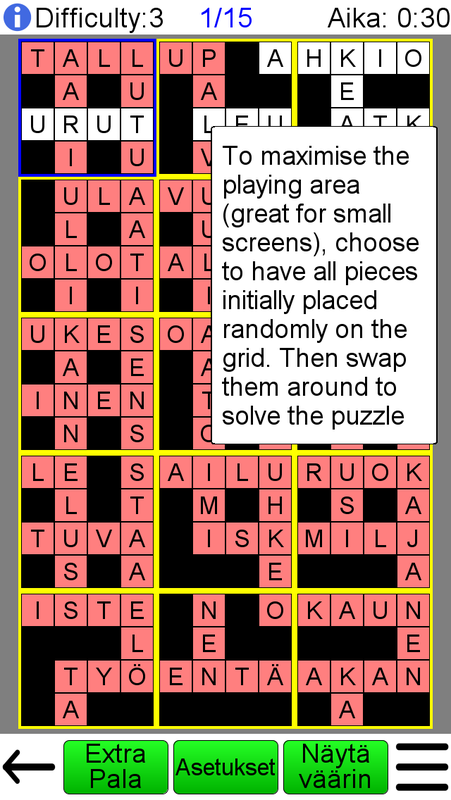 • Pieces can start outside the grid (classic version), or all are randomly placed on the grid and are then swapped to find the solution (ideal for smaller screens). 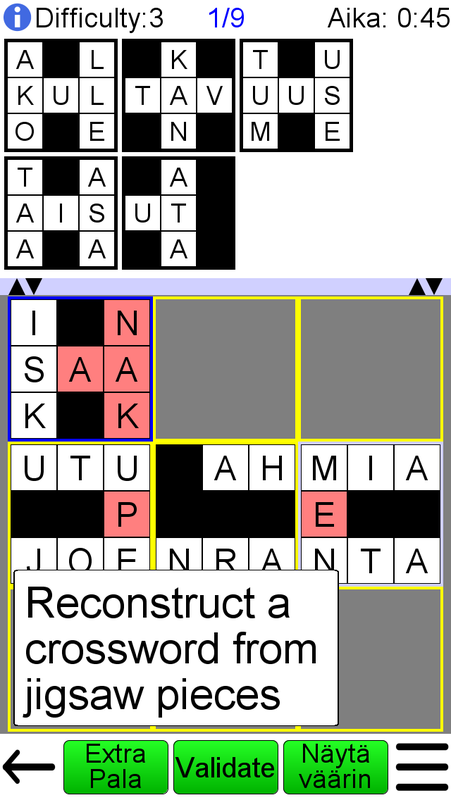 1) As words are formed, then valid words are highlighted. 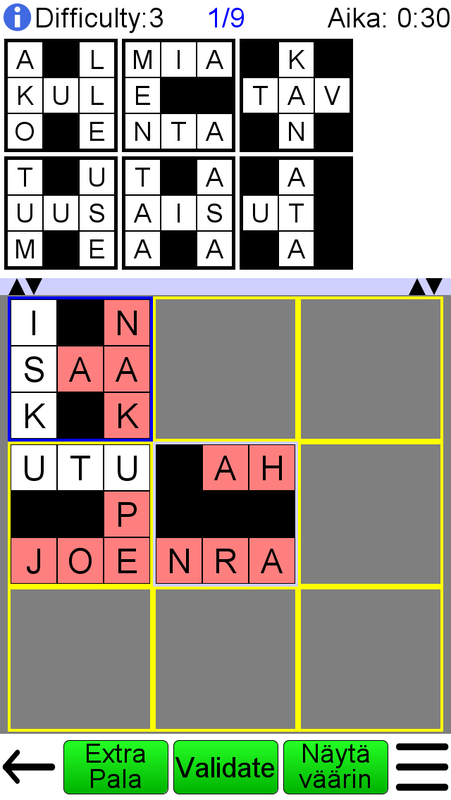 2) You can choose to have one or more pieces placed into their correct position at the beginning of the game. 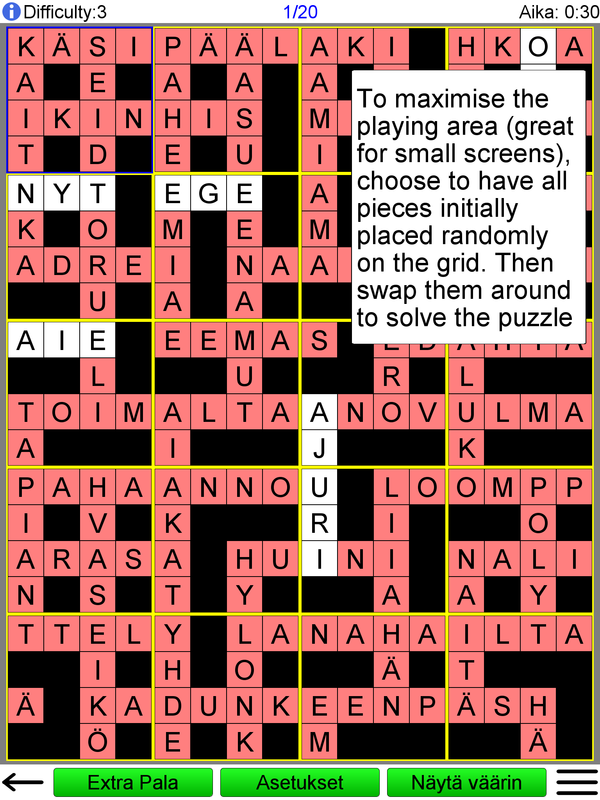 3) During the game, you can request a random puzzle piece to be placed into its correct position. 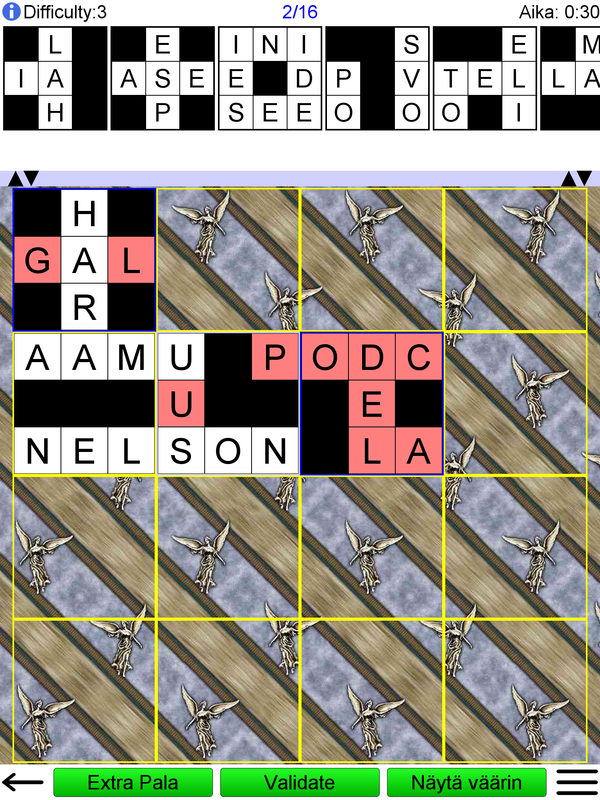 4) You can ask the game if a selected puzzle piece is in the correct position.